Naomi Mann | Fafinski Mark & Johnson, P.A. 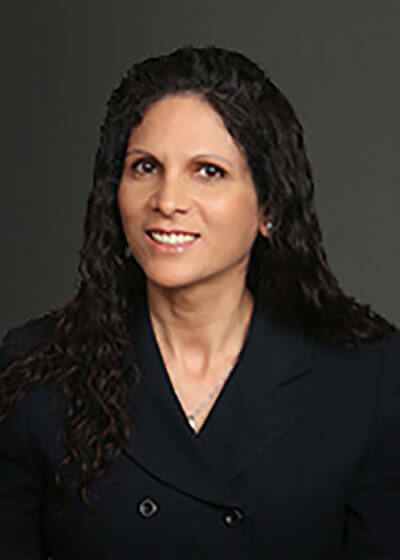 Naomi Mann is Of Counsel in FMJ’s Intellectual Property practice group and has over 15 years of experience drafting and prosecuting patent applications in complex technologies and in a variety of scientific fields. She thrives on the challenge of the precision, detail, and abstract thinking that are required when writing a patent. She also has extensive experience in counseling clients and preparing opinion letters on patentability, infringement, patent validity, and other related issues. Throughout her practice, she strives to have a thorough understanding of the client’s ultimate business goals and commits to achieving those goals in the most reasonable and expedient manner possible. Naomi received her Bachelor of Science in Chemical Engineering from the University of California at Los Angeles (UCLA) in 1995, and her Juris Doctorate from the University of the Pacific, McGeorge School of Law, in 1998. At UCLA, Naomi conducted research in areas of combustion science, plasma physics, and solid-state chemistry. At law school, Naomi was named to the Dean’s Honor Roll. Naomi and her husband enjoy raising their three sons and little Papillon dog. Her husband is a big New York Islanders, Knicks, and Jets fan, so their family fun time often involves sports (she enjoys watching everyone else having a good time). Other family activities include escape rooms, science projects, and desert hiking. In her own free time (while the boys are engrossed in a good hockey game) Naomi enjoys Yoga, hiking, biking, studying philosophy and science, and watching old episodes of Star Trek.